The year 2018 was a good year for us. We as a team not only stepped up our game by stepping into the international arena with our membership in PRBI, we also added a lot of interesting clients to our kitty, challenged ourselves to be creative and strengthened our architectural and interior design practice. We took our first steps into the international PR community with PRBI’s meet up in Boston, USA and shared PR experiences from India. The last quarter was especially interesting and packed with high profile events and media meetups. As we start the new year, we take a moment to share some of the exciting highlights from the last quarter with you. Times Bridge CEO Rishi Jaitley was in the country and spoke to media about bringing in global companies and start-ups to India. Investors world over have their eye on the Indian market and the place is drawing in a lot of attention. 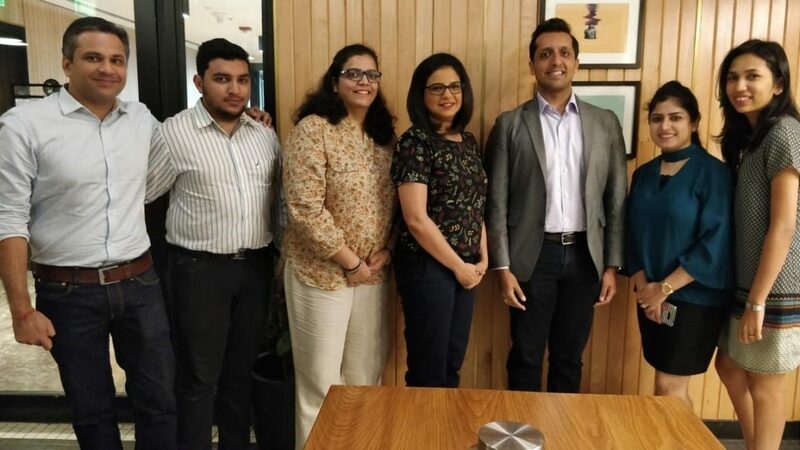 Rishi Jaitley and Viral Jani along with their team of professional experts are helping global brands make a mark in India and driving their Indian partnerships. They spent time with the media sharing insights from the global market and how it has impacted India. 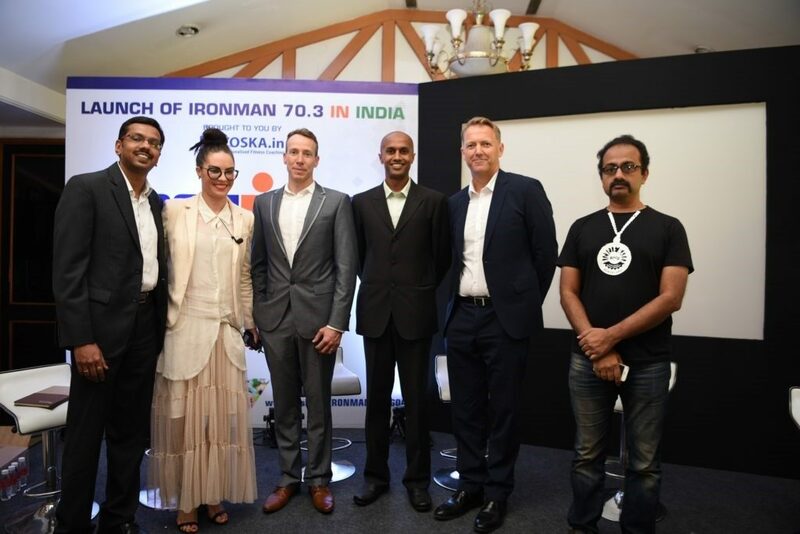 Bangalore based fitness company Yoska brought in THE Ironman Triathalon 70.3 challenge to India. Exciting time for all of us to set our fitness goals. The brilliant and fit team inspired corporates, media and athletes and fellow Indians to raise their game. Deepak Raj and Rudra Prasad Nanjundappa, Founders, Yoska left no stone unturned in getting the word out. Champions Pete JacobsandJaimielle Jacobs along with Geoff Meyer, Managing Director, IRONMAN Asia added to the fitness conversation with their expertise and insights. L to R: The Nucleus team comprising of Vinod Reddy, Michelle Khiangte , Shruti Saraswat and Payal Dasgupta pose with the Ironman team! L to R: Rudraprasad Nanjundappa, Jaimielle Jacobs, Pete Jacobs, Deepak Raj, Geoff Meyer and Bicycle Mayor Satya Shankaran address the media in Bangalore. Fun breakfast meets, round tables, media meetings and press conferences across Bangalore, Mumbai, and Goa ensured the team had a packed schedule that challenged their fitness routine which they managed seamlessly. 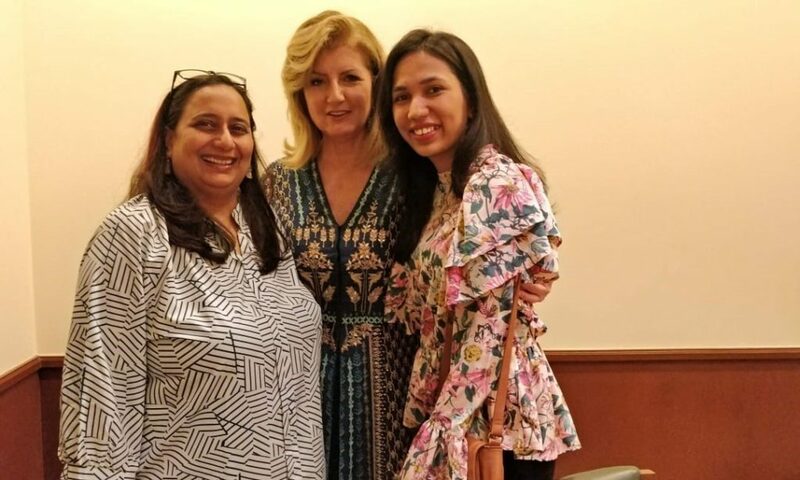 The Greek entrepreneur launched her new venture – Thrive Global in India. Seeking to change the way we define success in entrepreneurship, she wove her way through the several events and appearances to speak to the media as we found time slots to ensure these happened. She spoke to the media on the importance of Thrive time and made announcements on Thrive’s India partnerships which will help corporates reach their full potential. What a fabulous quarter it was! Each team rose to the challenge and excelled at the task at hand earning accolades from the client teams and media friends for their insights, creativity , quick turnaround time and seamless management. On that high note, we look forward to a fantastic quarter ahead. Watch this space for more. « Importance of media literacy	» Breaking Down Digital PR!